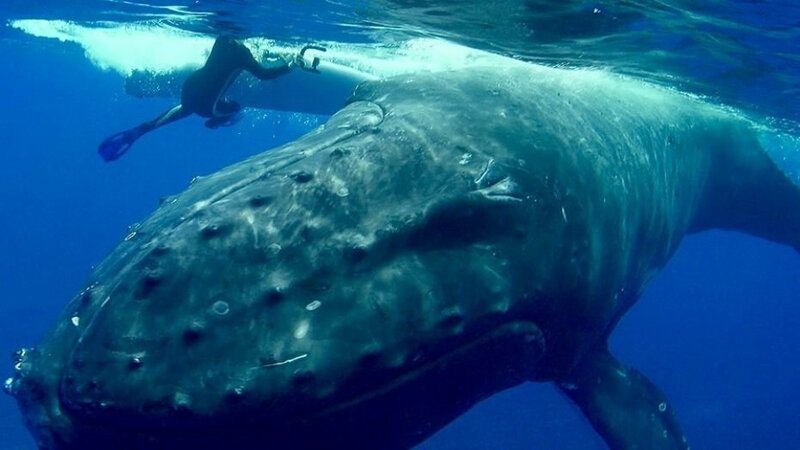 This is the incredible story of Nan Hauser A marine biologist who was saved by a Humpback whale. 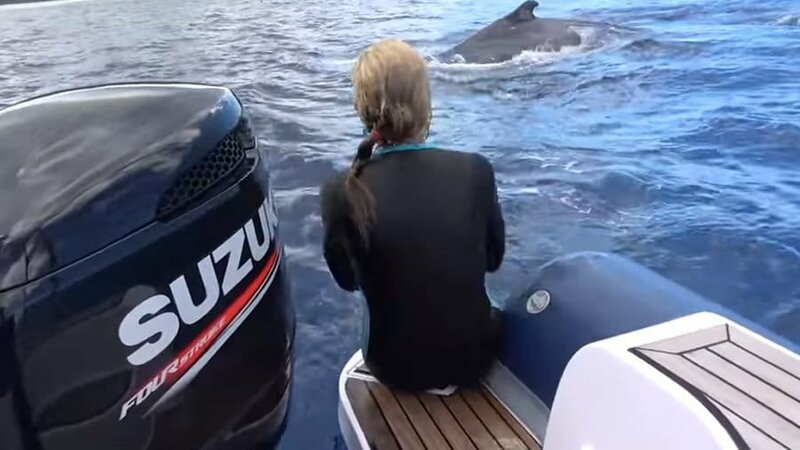 The whale shielded her from a 15-foot tiger shark in the South Pacific. Her body was tiny next to him. The big the whale was probably about 46, 47 feet. The whale knew she was in danger. 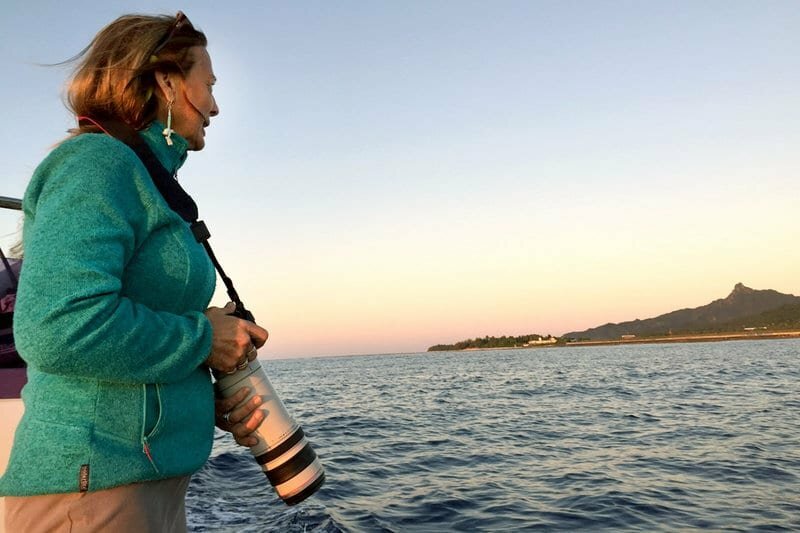 Nan Hauser is a marine biologist who has spent her professional life around whales. 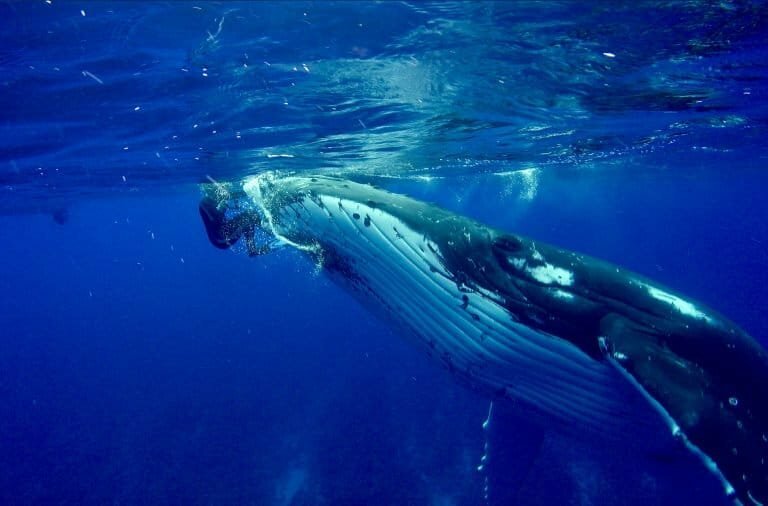 Her home base is in Rarotonga, Cook Islands, where she is the Principal Investigator for the Cook Islands Whale Research Project and Director of the Cook Islands Whale & Wildlife Centre. Nan’s research includes population identity, Photo ID, acoustics, genetics, surface & underwater behavior, navigation and migration of cetaceans. 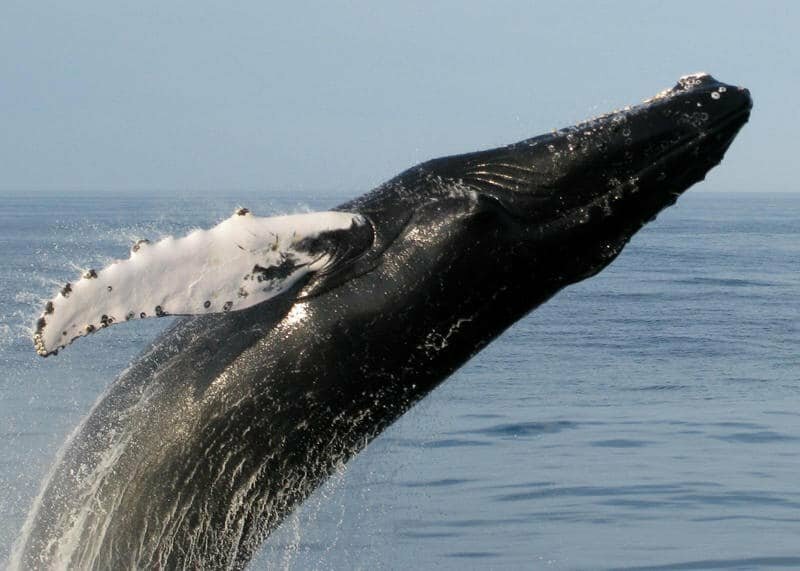 Her satellite tag work includes results on how whales migrate over long distances using linear constant course segments. Nan Hauser was in the Cook Island’s where her research center is based. This is in the South Pacific. Her incredible encounter with the Humpback whale accrued here. 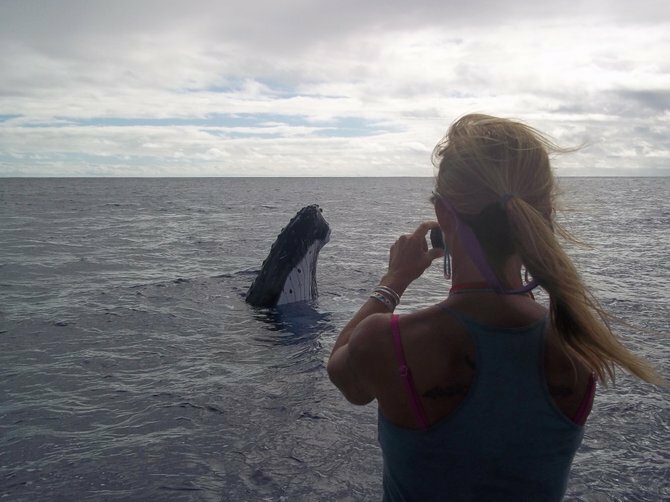 In September, she had an encounter with a Humpback whale that was like nothing she had experienced before. 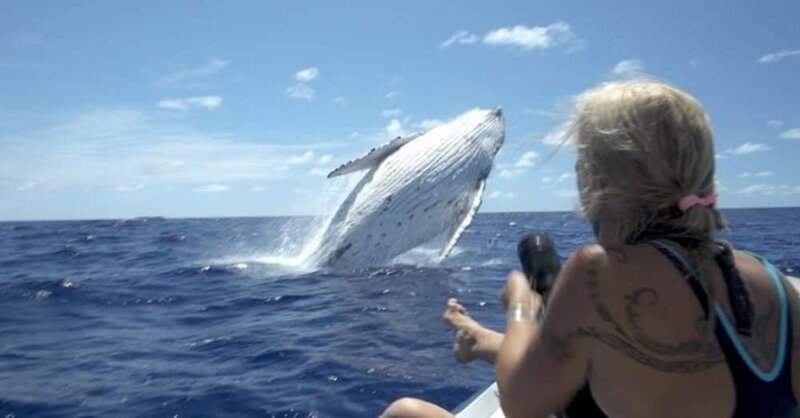 A giant, perhaps 50,000-pound Humpback swam up to her in the waters off the Cook Islands and began lifting her out of the ocean with its massive head. Over the tense 10 minutes that followed, Hauser swam calmly around the whale as it nudged her with its head, bumped her with its belly, and swiped at her with its powerful pectoral fins. “I’ve spent 28 years underwater with whales, and have never had a whale so tactile and so insistent on putting me on his head, or belly, or back, or, most of all, trying to tuck me under his huge pectoral fin,” explained Hauser, president of the Cook Islands-based Center for Cetacean Research and Conservation. 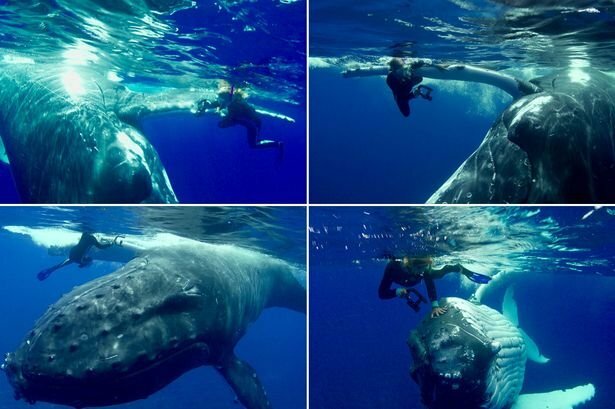 Would you let a Humpback whale beat you up to save your life? Amazingly, Hauser and her team photographed the entire encounter, which she shared for the first time Monday (Jan. 8). 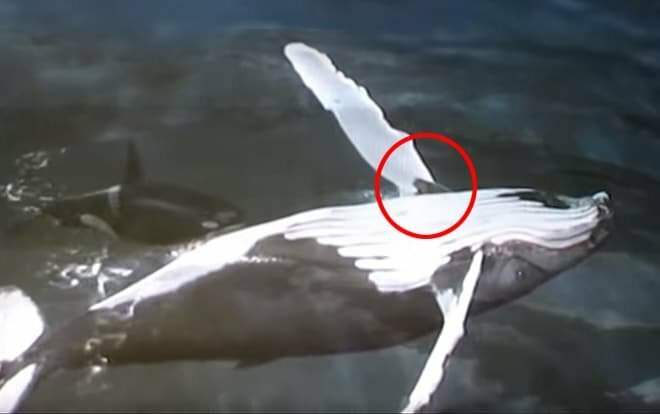 The footage, she is now sure, shows that the heroic Humpback is not trying to attack her, but is shielding her instead, from an even deadlier shark. 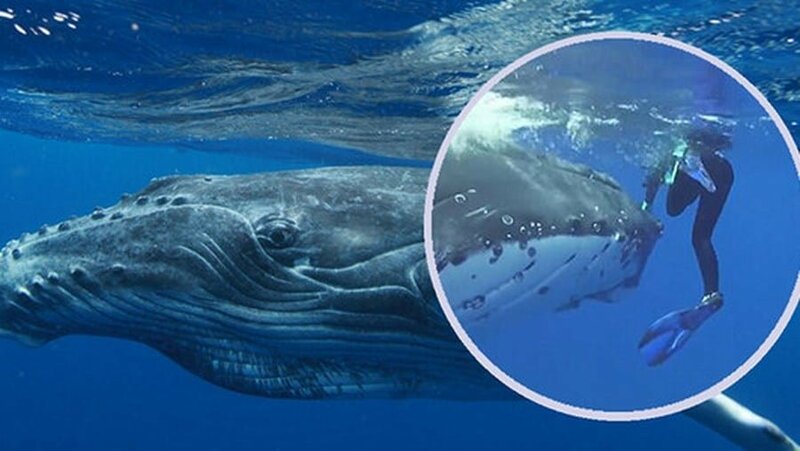 This is not the first time a Humpback whale has been observed intervening in a would-be marine ambush — in fact, the Humpback’s so-called “altruism” is well-documented. In 2009, for example, marine biologist Robert Pitman snapped an incredible photo of a Humpback cradling a Weddell seal to its chest while rolling out of the water, shielding the seal from a group of hungry killer whales. 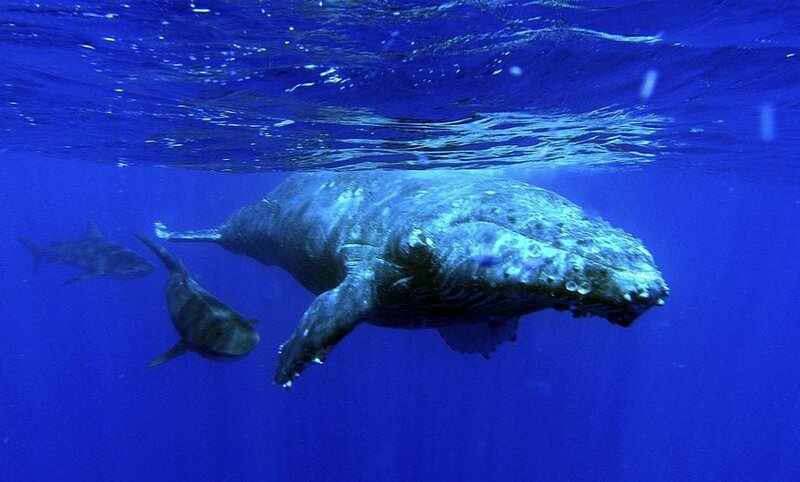 The Humpback’s shielding impulse likely comes from an instinct to protect its own calves from predators, Pitman said. Because massive Humpbacks have little to fear from orcas, the risk of intervening in or even initiating a fight to save their young may be well worth the risk. Researchers again caught a glimpse of a Humpback’s seeming altruism in May 2017, when a group of the cetacean crusaders interrupted a pod of killer whales that were stalking some baby gray whales off Monterey Bay in California. 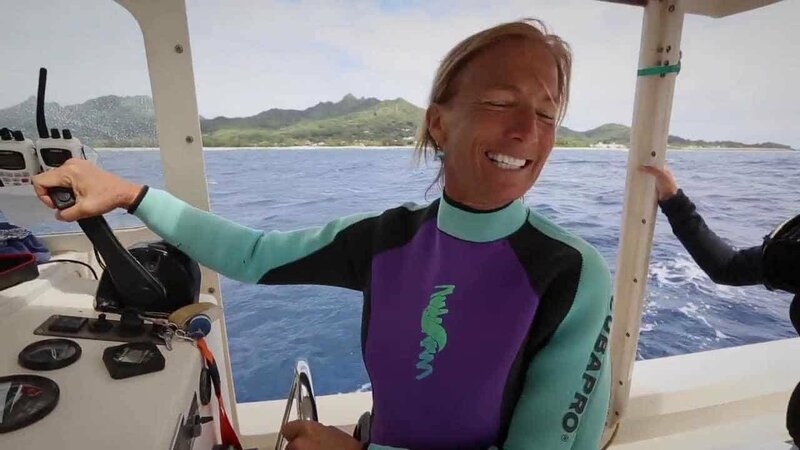 Hauser thinks it’s likely that the whale that head-butted her was similarly trying to protect her from the predator in their midst (she later learned that, while one Humpback was focused on her, another was swatting the water near the tiger shark, seemingly keeping it at bay). 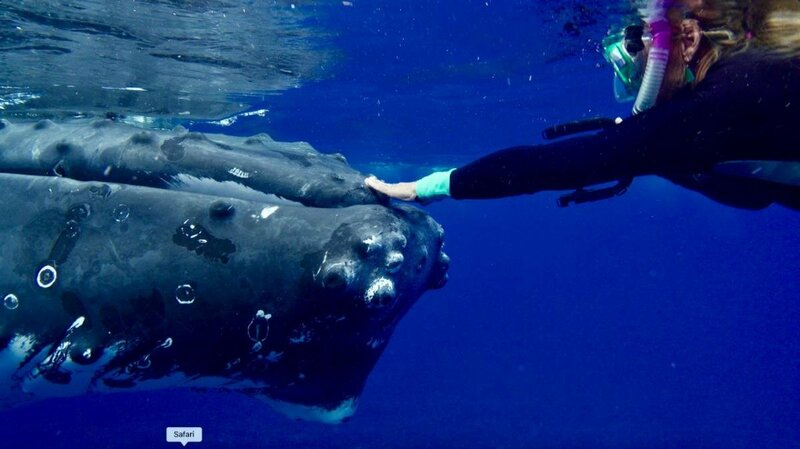 However, this marks the first known instance of a Humpback intervening to shield a human from a shark, Hauser said. Instead of just swimming past her, he came right towards Hauser. And he didn’t stop coming towards her until she was on his head. And next thing she knew, for about 10 minutes, she was – rolling her around his body, really trying to tuck her under his pectoral fin. I Jellyfish are widely popular for being very common. They are more or less the most common species of fish in the world and this is evident in the way that they are found in every ocean in all parts of the world. II The approximate size of a jellyfish is strangely peculiar. According to measurements, it is possible for a jellyfish to have tentacles that stretch to an approximate length of 200 feet and could also be as small as the tip of a pencil. III Asides from its predatory instinct, a jellyfish has a translucent nature which makes it easy for it to be undetectable. This nature poses as its defense tools, especially through the transparency of its body. IV The predatory nature of a jellyfish is made possible by its poisonous threads which contain numerous cells called cnidoblasts that contains nematocysts which make it easy for it to attack its prey by shooting out some of its threads with great speed whenever it stings. V The fatal effect of a box jellyfish sting is so disastrous that a person can die before getting help. A single sting from one box jellyfish can stop a human heart in two minutes resulting in instant death. VI A jellyfish sends out its stinger at an amazing speed rate, an action that is considered one of the fastest actions in nature. The uncoiling of the stingers shoots out in the twinkling of an eye, faster than a gunshot.